A little over a month ago, I had a comment on my blog from a lovely woman who just happened to be the photographer of a photo I mistakenly used on my site without prior consent. I was so embarrassed because normally I am very careful about trademark images, but I can only say in my defense that the image captivated me so much that I excitedly overlooked my normal carefulness. You can see below why I was so enchanted! After apologizing, she offered to send me a official watermark picture to use. I, of course, was humbled by her generosity and after checking out her work, I knew that I had to get to know her better. 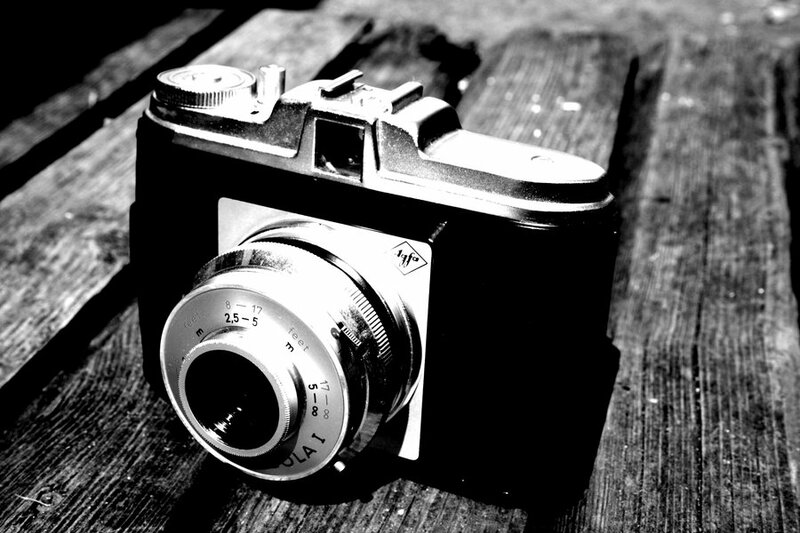 1) How did you get started with photography? You know that “I’ve been taking pictures since I was 3” story photographers tell? That’s not me. I’m a late bloomer. My almost-twin brother is now an architect but has been an extraordinary photographer since our late teens, when I didn’t own or even aspire to own a camera. Maybe I somehow figured that taking pictures was his thing, not mine. (That’s a stretch, but it does sound colorful and dramatic. Since I’m not allowed to tell the “since I was 3” story, can we pretend this other one is true?) 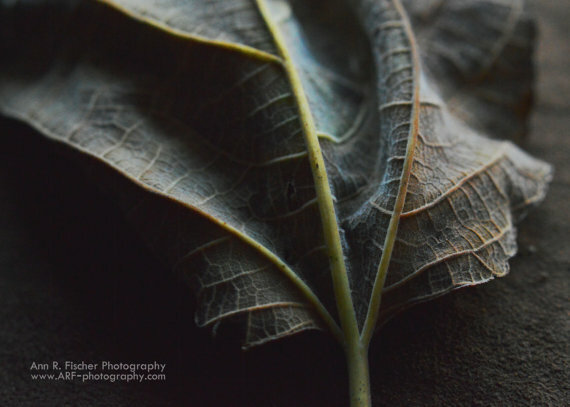 In later years, things turned around: My brother is one of the people who opened me up to photography by giving me a camera for Christmas one year when I was finally ready for it – well into my grownup life. 2) Among your works, which is your favorite and why? At the moment, it’s probably this introverted leaf from a few months ago (very short story about it: http://arf-photography.com/blogs/news/18033971-the-velvet-introvert-a-leaf-on-its-own-terms). In late October, when most of the fall leaves were shouting “red!” or “orange!”, this one was quiet and dignified. Its subtle colors are killing me this very moment. As soon as I saw it in the woods, I knew how I would stage it later in the studio — resting upside down on velvet and casting deep shadows. 3) Do you have a particular subject you enjoy shooting more than others? Probably the most unglamorous but descriptive way to say it is that I love to shoot things in nature. But (is this just me?) “nature photography” has an exceptionally boring ring to it, the same way “family restaurant” does. 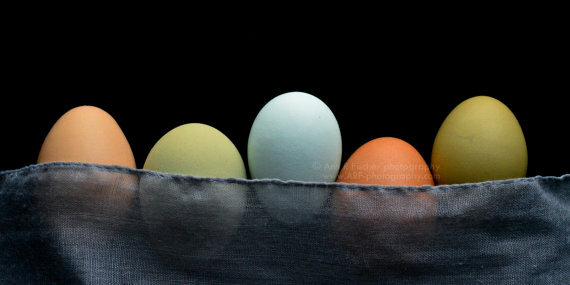 Some people call what I typically do “fine art photography,” so I can go with that for now. 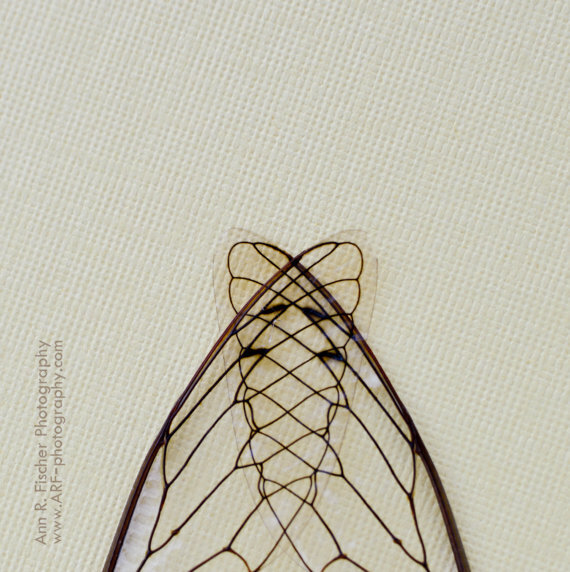 Here is a fine arts-ish example of nature-as-architect, with cicada wings arranged to form a Gothic arch (story here: http://arf-photography.com/blogs/news/16874363-siblings-and-cicadas-my-favorite-architects). 4) Whose work has influenced you the most? Not as a photographer but as an analyst and “keeper of the old stories,” Clarissa Pinkola Estes helps me stay metaphorically awake. She’s spent a lifetime collecting stories from around the world and extracting life lessons from their patterns and similarities. 5)Color vs. black and white. 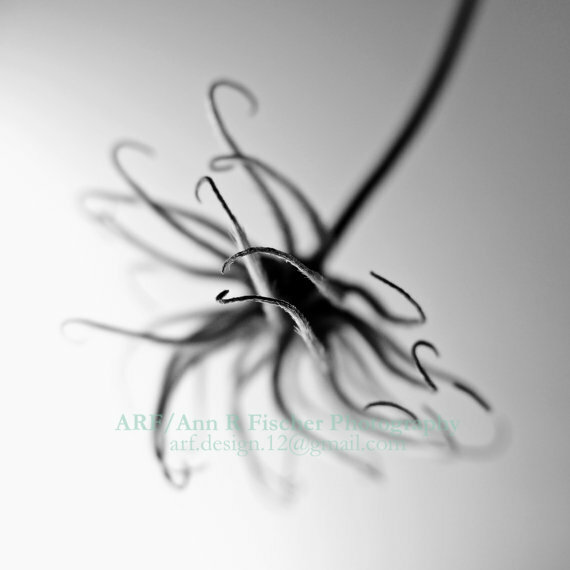 Why one over the other, and is the photographic process different? Both. (You’re welcome for the cop-out.) I love big doses of color, especially with a simple figure or repeating pattern. But sometimes color can get in the way or make things more complicated than they need to be. Composing shots in black and white helps me to really see lines and curves and think about what I’m doing. 6)What do you want people to take away from your work? Two things. First is a lighter heart. 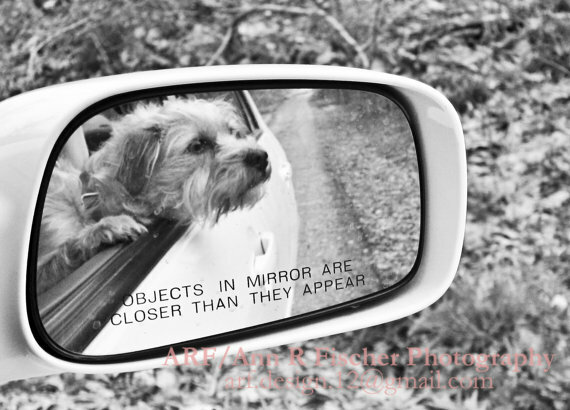 Some of my photos have an inherent lightness or whimsy, like this one of the dog in the rearview mirror. But even when they don’t, I often make up absurd stories (or tell true stories, which can be even absurd-er) to go with the photos. People tell me that these stories are part of the fun of looking at my photography, and sometimes they request copies of the stories when they buy my prints. The second thing sounds pretentious, but it’s true. I want people to come away with a deeper connection to their own inner light and creative fire (see answer #4). Sometimes they get to that place through images or words they see as meaningful and serious. On the other hand, laughter probably gets a lot of people there more easily. So I’ll keep going with the ridiculous stories for now. 7) When you are out shooting, how much is instinctual and how much is planned? In other words, do you just like to wing it? Last year, an artist friend told me that she thought I was doing Miksang photography. Once I found out what that meant, I took it as a compliment, because Miksang is about direct, unfiltered perception – seeing minus “ideas” and preconceptions. 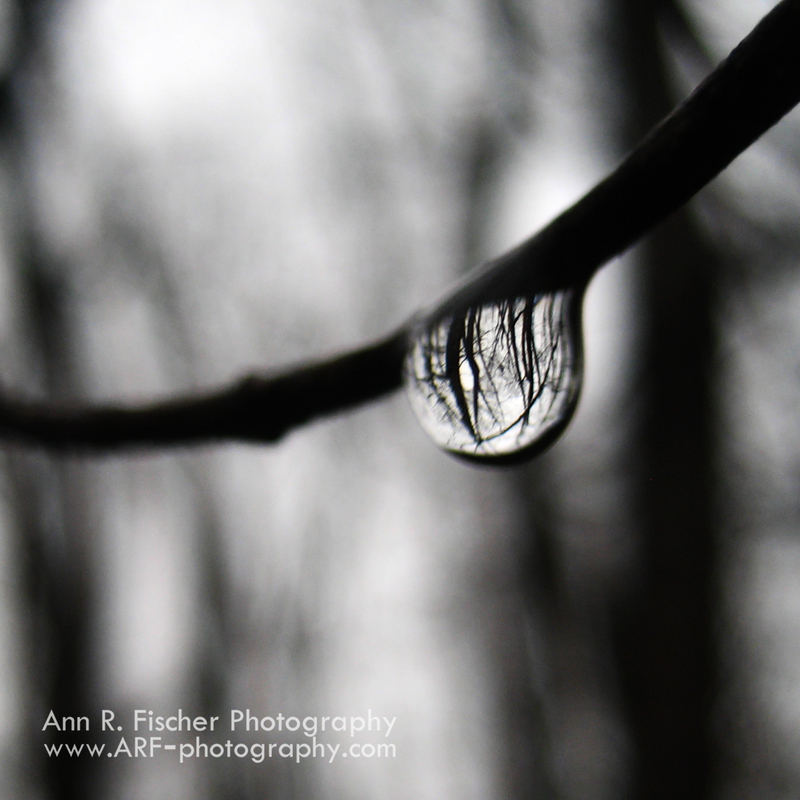 An example of that would be my black and white photo of an upside-down forest reflected in a single raindrop (the photo Shannon first found). At first I didn’t see the forest because I was busy looking at the water as what I had preconceived as “a raindrop.” Then something opened in me, and I saw the forest microcosm standing out in this stark and lovely way. 90% of the photos I keep are unplanned (winged? wung?). I try to have a camera with me all the time so I can capture things as I perceive them in the moment. 8) Old school vs. New school. Film or digital? Digital. I’m pretty sure this makes me a bad person, but check back later. 9) As a writer, I have to ask, have you ever thought of putting together a book of your work? Does the little 4×6 one I made years ago for my mom count? Because most of my photos were taken in and around the Shawnee National Forest, some people have suggested I put together a book of what they call “local interest.” But if people are looking for pictures “of” (vs. “in”) the forest or “of” this geographic region, that’s not really what they’d get from my photos, overall. 10) Favorite book, either fiction or nonfiction. For long-term, desert-island staying power, though, it would have to be “Middlemarch” by George Eliot. It’s hard to believe all of those subtly funny, sympathetic observations came out of one person. 11) Last but not least, weirdest thing you have googled? 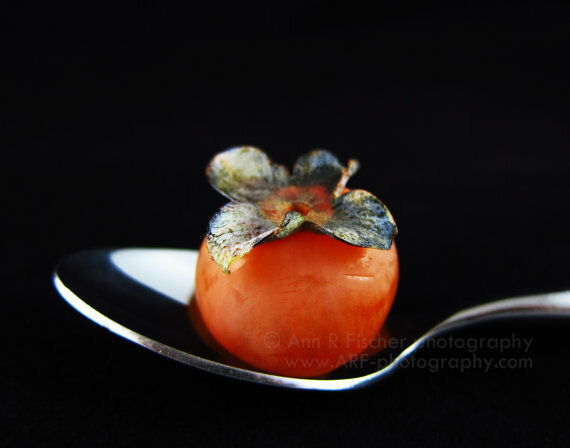 “Persimmon lullaby.” I had set up some studio shots of a fantastically orange wild persimmon (see below), and I was making up a story about how it fell asleep (asleep!) during the photo shoot. Since I then needed to know what makes persimmons drowsy, I asked Google. It turns out that there really is a “Persimmon Lullaby” — a beautiful piece of music by Ikuko Kawai, the Japanese composer and violinist. Next time you’re putting a piece of fruit down for a nap, you’ll know what to do. Want more Ann? Check out her links!